The combination of Augmented Reality (AR) and Artificial Intelligence (AI) has led to a cosmetics chain enabling customers to experiment with virtual make-up, and the animation of single still images into photos with moving facial expressions. Back in March, the new ‘Virtual Artist’ app was first unveiled to the tech world. The app is now being used by French cosmetics / beauty brand Sephora to engage customers and allow them to try out and experiment quickly and easily with the company’s beauty products without needing to physically apply any of the actual products. Sephora’s ‘Virtual Artist’ app, which is used in some of their stores on iPads (available to customers as a smart-phone version) allows customers to try-on virtual make-up. The app, which was developed in partnership with AR company ModiFace, scans a photo of the user’s face, maps where the lips and eyes are, and lets users try on different looks. The app gives users virtual tutorials that use AI and AR to show users (using a photo of their own face) how to contour, apply highlighter, and create winged eyeliner. The app currently allows users to experiment with lip colours, eyeshadows, and false lash styles, and to add the products they like to an online shopping basket. Sephora’s proprietary ‘Virtual Artist’ app is actually joining the tech beauty gadget market a little late, as it follows in the footsteps of other similar ideas such as the HiMirror Plus, which scan users’ faces and recommends products and skin regimens. 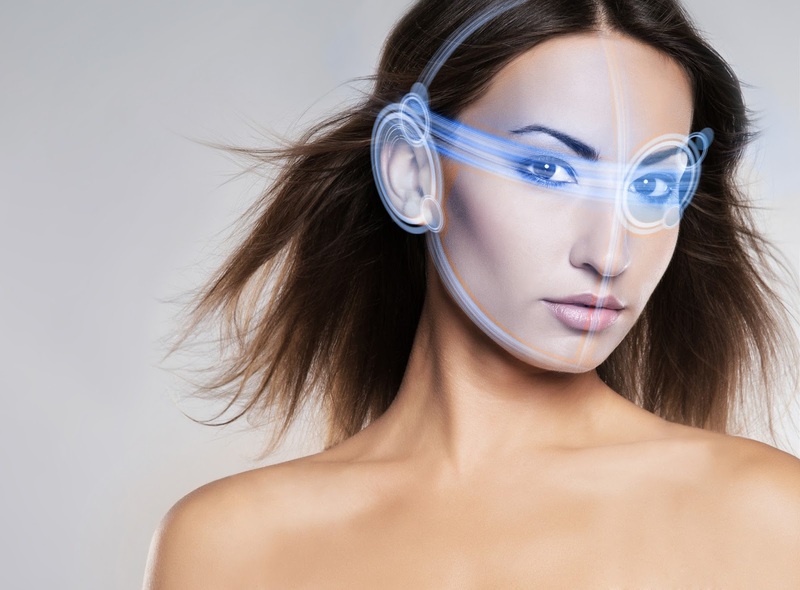 Another recent innovation to hit the news is a face mapping, AR and AI combined system that has been developed by a joint team from Tel Aviv University and Facebook. 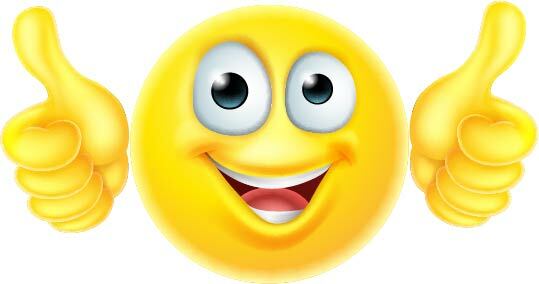 The system enables a single still photo of a person / emoji character / painting of a person’s face to be animated with moving facial expressions. To enable the animation to work, the subjects submit a single still image of their face, plus, they film themselves pulling a variety of faces. Face mapping of the still photo as a guide, and the expressions, combined with a ‘driving video’ of another face, and the software’s ability to fill in the invisible gaps in the picture e.g. the inside of a subject's mouth, enables moving facial expressions to be overlaid (using AR), thus producing an eerily realistic image with changing facial expressions and emotions. Since the system was developed in conjunction with Facebook, tech commentators have speculated the first use of the system will be as part of a fun craze to help engagement with the Facebook platform. It is not difficult to see how, as with the Sephora example, a system that encourages and enables customers to engage with, try out, and willingly widen their knowledge of a product range with minimum risk and hassle could be useful and relevant to many kinds of businesses in different markets e.g. beauty, interior design, furnishings / furniture, and other self / lifestyle / home and garden markets. The ability to enable customers (B2B and domestic) to visually experience and explore products and services like never before offers an exciting opportunity for businesses. The ability to animate still images in a realistic and engaging way could also feed into multiple industries e.g. marketing / advertising / display / promotions, photography / graphics, greetings and gifts and many more. The leverage gained from the synergies of combined new technologies could provide exciting business opportunities and areas to develop competitive advantages that are likely to reduce in cost over time. 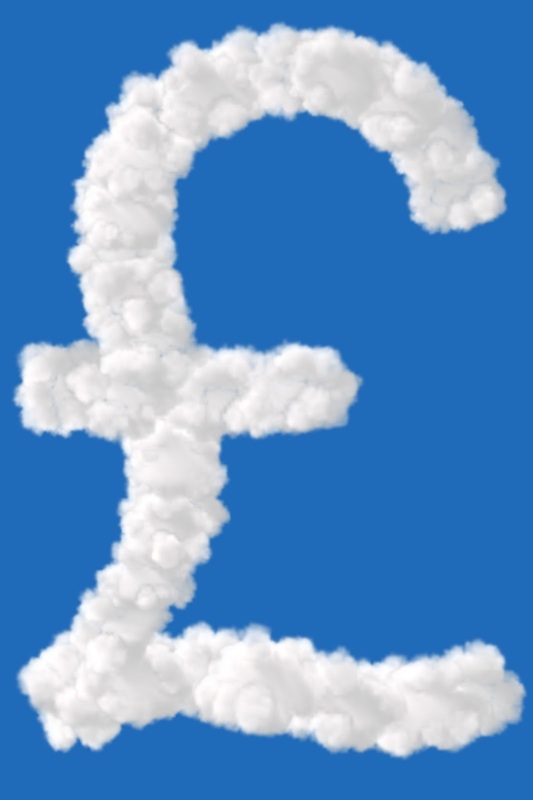 MPs have warned Amazon and eBay that their platforms may not be doing enough to prevent many sellers from not charging VAT on their sales, thereby potentially contributing to £1.5bn lost tax revenue for the government. 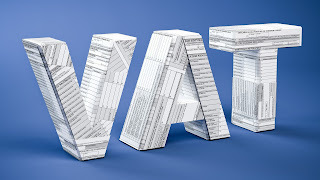 The VAT loophole was highlighted in a recent report by MPs in the Public Accounts Committee. If items are dispatched from UK soil, sellers have to charge VAT at 20%. Amazon and eBay, however, are believed to be keeping some of their stock in UK warehouses in order to provide next day delivery. Some of this stock is likely to be from overseas sellers, and it is believed, therefore, that goods from foreign sellers have been shipped to customers from UK warehouses without VAT being charged. This has enabled some foreign sellers to undercut genuine UK suppliers, and has meant a loss of potential revenue for the Treasury. MPs have criticised an apparent lack of action to date by the big online selling platforms to address the issue, and some critics have also pointed to the fact that Amazon and eBay may actually be profiting from the fraudulent activity of sellers on their platforms by charging sellers a commission. Amazon and eBay have told the commission that they are working with HMRC to resolve the situation, and that they are engaged in removing those offending sellers from their platforms. It is not just eBay and Amazon who have come in for criticism by MPs over this matter. MPs have also criticised HMRC for being over-cautious in pursuing what are regarded by many as being VAT fraudsters. According to the MPs’ report, HMRC could help to stop VAT fraudsters by setting up an agreement with online marketplaces by March next year, and by acting with more urgency in making use of its existing powers. HMRC has answered critics by pointing out that it had introduced new rules last year specifically to deal with the issues of liability for unpaid VAT by overseas sellers, and that these rules have brought about a ten-fold rise in the number of sellers registering for VAT. This report from MPs and the publicity generated by it are likely to be good news for UK sellers who may have lost out to overseas sellers through simply complying with UK tax law and having to charge higher prices. Hopefully therefore, the report may put pressure on HMRC and big selling platforms like eBay and Amazon that could lead to a more level playing field, and could, of course, generate more much-needed tax revenue for the UK. It is particularly important for MPs to prioritise the issue now with the extra tax complications of Brexit just around the corner. This may also be a shot across the bows for all large overseas sellers to warn them to respect the laws of the countries that they operate in and to remind them that they are accountable to governments in many of their lucrative markets. 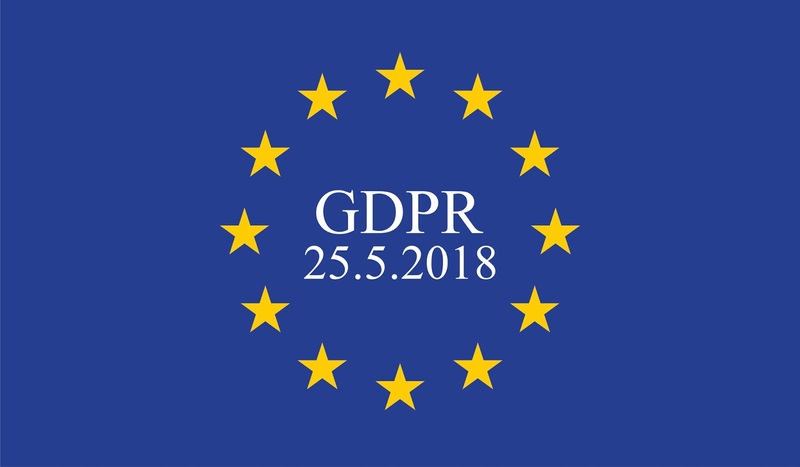 Warnings about the importance of GDPR preparation have been cropping up in the news for more than a year, and successive studies have revealed how businesses have felt unprepared and worried by the complications of the subject, or are simply in denial. One of the key challenges for companies in addition to getting an understanding of consent issues is making sure the technology is in place to help deal with data in compliant way e.g. having the ability to purge or modify data, search and analyse personal data to uncover explicit and implicit references to an individual, or accurately visualize where data is stored because the repositories are not clearly defined. Some technology products are now available to help deal effectively with data, and many tech commentators believe that developments in AI and machine pattern learning / deep learning technologies will be able to be used by companies in the near future to help with GDPR compliant practices. A new type of ransomware dubbed "Bad Rabbit", similar to WannaCry and Petya, has been spreading across Russia, Ukraine and into other countries. The Bad Rabbit ransomware appears to be spread via a bogus Adobe Flash update and, worryingly, is still undetected by the majority of anti-virus programs. What Does ‘Bad Rabbit’ Do? Like other ransomware, Bad Rabbit encrypts the contents of the victim’s computer and asks for a payment of 0.05 Bitcoins / £213 to release the locked data. 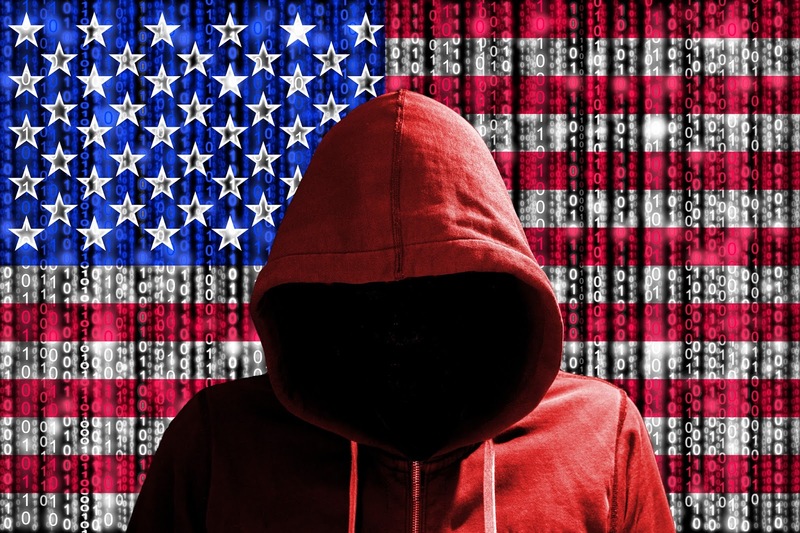 It is common for ransom demands to be made in the crypto-currency Bitcoin because it is out the control of banks and provides anonymity for the perpetrators. In order to pay the ransom, users are directed to a .onion Tor domain where, where a countdown on the site shows the amount of time before the ransom price goes up. Some tech / security commentators have noticed references to Game of Thrones characters in the malware. Bad Rabbit is reported to have hit almost 200 victims, most of which are in Russia and Ukraine, although others are in Turkey and Germany. For companies that have been infected, whole servers have been locked down, thereby rendering the day-to-day IT-based aspects of the business impossible. High profile victims of Bad Rabbit to date include Russian news agency Interfax where its subscription services were all made unavailable, the St. Petersburg-based Fontanka.ru news website, Ukraine's Odessa International Airport where its information system stopped functioning, Ukraine’s Ministry of Infrastructure and Kiev’s public transportation system. For UK businesses and other organisations, it’s a case of always being on the lookout for suspicious emails and updates, keeping security software up to date and regularly backing up critical data. The advice with Bad Rabbit (according to The US computer emergency readiness team), as with other ransomware is to not pay the ransom, as is unlikely to guarantee that access will be restored. Southend-on-Sea Borough Council is reported to have signed an agreement with tech company Cisco to deploy its ‘Kinetic for Cities’ platform in order to share the benefits of new digital technologies with its businesses and citizens, thereby making it a ‘Smart City’. What Is ‘Kinetic For Cities’? 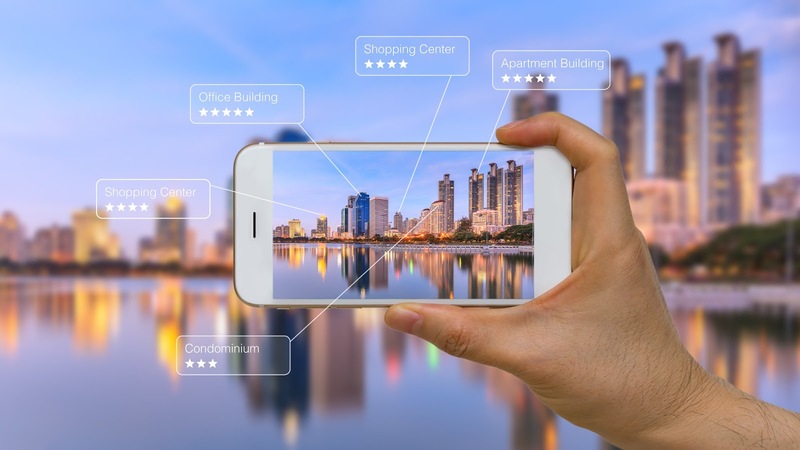 According to the Cisco blog, the Cisco Kinetic for Cities platform is a unified IoT platform strategy and a cloud-based platform that helps customers extract, compute and move data from connected things to IoT applications to deliver better outcomes and services. In essence, using sensors, digital management platforms, and analytics programs for all aspects of a city (including solutions for lighting, parking, crowd, environment and others), businesses and citizens can benefit from the effects of urban innovation, sector-specific solutions, city engagement that the technology provides. Through the use of the new platform, it is hoped that Southend can become a technology hub, and this can help it to grow and evolve, in line with the rest of the UK and with competition globally. It is also hoped that use of the digital platform could bring smarter, connected experiences for people who live in, work in, or visit the town. Cisco’s Kinetic for Cities platform is already being deployed in other cities such as Manchester (UK) where it is being used to project explore smart transport and CO2 emissions, in Jaipur (India) where it is helping to improve public safety. 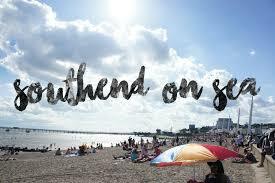 How Will It Be Used In Southend? At the current time, Southend Council looks likely to use the Kinetic for Cities platform for initiatives such as pilots relating to community safety e.g. building an intelligence hub with IP-based public safety systems for use with CCTV and advanced video analytics. Also, there are plans to use the platform to help with traffic and parking management, easing of congestion, using the IoT to help monitor improve air quality, and to help manage energy better and bring down consumption, thereby reducing costs and helping the environment. It has taken a long time for many of the potential benefits of the IoT to be realised, or for the IoT to be deployed in a more meaningful and beneficial way than in smart household gadgets. Using technology for the benefit of a whole town / city in this way represents a new kind of rapid regeneration which has the potential to benefit many more citizens and businesses than individual physical projects. Improving a whole town, and how efficiently it functions and how effectively it serves those who work and visit it in terms of experiences and opportunities can only be of benefit to locally based businesses, and can create an environment where businesses are better equipped to compete nationally and globally. Researches have uncovered a major flaw in Wi-Fi connections dubbed as Krack, which could be putting homes and businesses at risk from hackers. 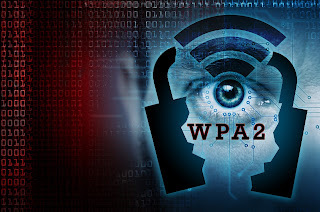 Researchers from Belgian university, KU Leuven, discovered that there is a critical flaw in the authentication system used by secure wireless connections. All protected Wi-Fi networks use an old, four-way handshake (dialogue) system in order to generate a fresh session. With the handshake, the two devices agree a (session) key to use to keep a secure data connection between them. According to the researchers, the system of random number generation used in authentication can actually be re-used, thereby allowing someone to enter a network and potentially spy on the data being sent in it. Hackers can exploit the ‘Krack’ vulnerability by tricking victims with a replayed, modified version of the original handshake, thereby making victims reinstall their live session key. This allows the set-up values to be reset which can thereby weaken encryption. 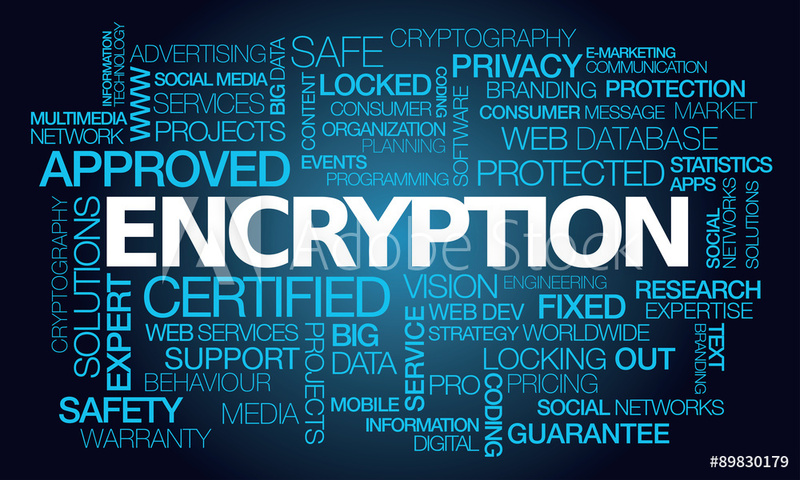 The researchers have found that the flaw means that attackers can potentially hijack a connection, decrypt and inject data, and even forge their own connection. What / Who Is Affected? The flaw is in the actual Wi-Fi protected access II (WPA2) security protocol i.e. in the standard itself. This means that there may be millions of routers in customers' homes and businesses that are vulnerable to attack. Service providers and their customers, therefore, face significant risks because of the flaw. The flaw, which has prompted a warning by the US Computer Emergency Readiness Team (Cert), can reportedly be fixed using software patches. Industry body the Wi-Fi Alliance is reported to be working with service providers to help develop a patch, and Google has said that it will be patching any affected devices over the next few weeks. This is reminiscent of the problem encountered back in June, when, after an investigative study by Which?, Virgin Media made the news when its (Netgear) Super Hub 2 and Super Hub 2 AC home routers were found to all have exactly the same private encryption key, thus making them more vulnerable to hacks. This prompted the need for a security patch to be rolled out in order to protect large numbers of customers. The latest flaw in Wi-Fi connections discovered by the Belgian researchers is another example of how, despite taking their own Internet and data security measures, businesses (and home users) can suddenly find themselves unwittingly being vulnerable to attack because of the equipment and software supplied by service providers who they have to trust. Once again, it is outside security researchers who have discovered the flaw. Thankfully, patching is generally a fast and effective way to shut down vulnerabilities. Keeping up with patching itself is an important part of any company’s ongoing security processes, and the Fortinet Global Threat Landscape Report (back in August) highlighted the fact that 9 out of 10 businesses are hacked through un-patched vulnerabilities, and that many of these vulnerabilities are 3 or more years old, and have patches already available for them. 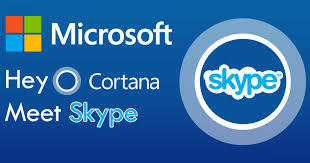 to provide ‘contextual assistance’, which could help Skype users in their online chats. 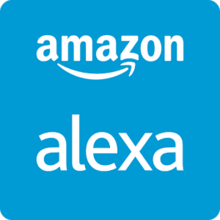 between the voices of different users in the same household, thus enabling the Amazon Echo to handle multiple-user profiles in a convenient way. it made its approach to land at Jean Lesage Airport in Quebec, Canada last Thursday. 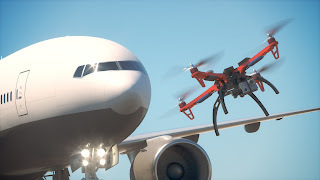 The drone craft, which was being operated by a person as-yet unknown, was reported to have been flying at a height of about 450 metres / 1,500 feet and at an estimated 3,000 metres from the runway at the airport. As the Skyjet passenger aircraft came in to land, it was struck by the drone causing minor damage to the aircraft. Fortunately, the aircraft, which was carrying 8 passengers, was able to land safely. Interim ‘Transport Canada’ regulations (to be approved next year), first introduced in March and amended in June, make it a violation for recreational drone to be flown within 5.5 kilometres from an airport, and 1.8 kilometres from a heliport without having special permission. Drone operators must also not fly their drones above 90 metres in height. Violation of the current regulations can warrant a $25,000 fine. According to Canada’s Federal Transport Minister Marc Garneau's office, 1,596 drone incidents were reported to Transport Canada in 2017, 131 of which were deemed aviation safety concerns. This was, however, the first time that a drone had actually struck a passenger aircraft in Canada, and Mr Garneau is reported as saying that it could have been "catastrophic" if the drone had collided with the engine or cockpit. Drones flying too close to airports have now become a problem worldwide. Back in July, for example, a drone being flown dangerously close to Gatwick airport in the UK meant that four Easyjet and one British Airways flights had to be diverted. In another incident in Essex back in August, a 28-year-old man from Kirby Cross was apprehended by police, after flying his drone too close to a railway station. The man was reportedly trying to use the drone to get photos of a Tornado steam engine, and was reported for a breach of his Air Navigation Order. According to the Police, the man had flown the drone within 50 metres of other people and property out of their control. Legally, a drone should not be flown within 150m of crowds or built-up areas. The man was punished by way of an agreement contract with Essex Police, and was given a community resolution. In the UK, new government rules mean that drones weighing 250 grams and above now need to be registered online. Owners of these drones will also have to take safety awareness tests to determine their knowledge of UK safety, security, and privacy regulations. The government hopes that these new rules will help to develop accountability among drone owners and encourage them to act responsibly. Drones are part of a new industry where the technology and products have been developing before the law has had an opportunity to catch up. Drones clearly have many productive, value-adding, and innovative business uses, and they have been tested and tipped for wider use in the future by brands such as Amazon for parcel deliveries. A move towards autonomous vehicles and new transport technologies means that drones currently have a bright future when used responsibly and professionally. The fact that drones are widely and easily available (with minimal restrictions) to individuals as well as companies, as shown by the many aircraft near misses, indicates that most people would welcome the introduction of regulations that contribute to public safety. It is important, however, that any new rules take account of the rights of the majority of responsible drone users, and don’t restrict the commercial potential of drones. the High Court over failing to protect their personal data after it was posted online by a rogue employee with a grudge. look likely to grow by 18.5% this year, and could top $260 Billion. alerts can have a negative impact on your mood, especially if they're work-related and or non-human notifications. The research, which was carried out to study the way people interact with the notifications on their phone and how they impact mood, was conducted by using an app called NotiMind which participants downloaded to their phones. The app collected details about the phone’s digital notifications, plus information about each participant's self-reported moods at different points in the day over a five-week period, and involved the sending of half a million notifications. Phone notifications which related to non-human activity e.g. Wi-Fi availability and the working of the phone itself were found to be the ones that had the biggest negative impact on someone's mood. Not surprisingly, work-related alerts (especially when several arrived) ranked a close second when measuring negative moods. Hackers are operating a popular scam which involves installing 'mining script' code such as Coin Hive into multiple web pages without the knowledge of the website owners. The scammer then gets multiple computers to join their networks so that the combined computing power will enable them to solve mathematical problems. Whichever scammer is first to solve these problems is then able to claim / generate cash in the form of crypto-currency. can use the computers of website visitors to help them generate digital cash or 'crypto-currencies'. 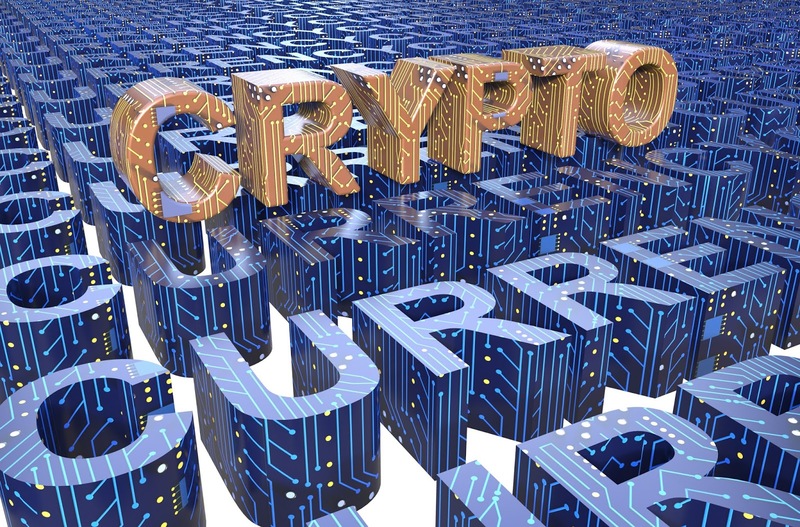 Cloud Being UsedThere are reports that this crypto-currency mining scam is now being extended to target cloud-based computing services. If hackers are able to break into a cloud account they can harness a huge amount of computing power and use multiple machines to try and generate more income. With cloud billing services making it hard to detect the scam before it is too late, victims can be left with large bills for servers that hackers have been using for their coin mining. Researchers in Illinois are developing a monitoring system that can spot the signs of mining software e.g. the increased activity in processors when working out the complicated maths problems. The researchers are working with a cloud company with a view to deploying it in their network, and have plans to extend the system to personal computers. Government officials the Crimean council have reportedly been sacked for using mining software on government computers. The creators of the FiveM add-on for the video game GTA (Grand Theft Auto) V have released an update which stops people from being able to add miners to their code. Security service Cloudflare has suspended the accounts of some customers suspected of using mining scripts. The increased CPU usage and slowing down of computers caused by mining scripts waste time and money for businesses. There are some simple measures that your business can take to avoid being exploited as part of this scam. bills, Google now plans to finally monetize its DeepMind AI by embedding it into a host of Google products and services. Improving Google's voice-controlled virtual assistant 'The Google Assistant' in order to make it sound more natural in products such as the new Google Home Mini. With that in mind, DeepMind has set up 'Ethics and Society' which is essentially an ethics committee to look at the real-world impacts of AI with the aim of helping technologists put ethics into practice and helping society at large understand the potential effects of AI. 'Ethics and Society' is able to draw upon the input of a number of expert 'fellows' including Nick Bostrom of Oxford University's Future Humanity Institute and Strategic Artificial Research Centre. AI-based, voice-controlled virtual assistants are now popular in-home devices such as the Amazon Echo, and in the Windows 10 operating system. As one of the really big tech company market leaders, Google, of course, needs to be able to compete in that market segment, but the full benefits of Google's DeepMind work and investment not have been realised yet. After such a large R & D investment, it is understandable that Google now wants the DeepMind project to start paying back by incorporating AI in (and thereby adding value to) existing and new products and services. Apple and Amazon, and reforming the way VAT is collected to make sure that all online businesses pay their taxes. The rulings on cases involving Apple’s operations in Ireland, and Amazon’s in Luxemburg are to be used to close loopholes for those multinational companies operating in Europe and seeking to allocate profits to entities not (directly) involved in the provision of the goods or services to which the profits relate, as a means of reducing the amount of corporation tax they pay. There have also been accusations that governments appeared to have allowed the companies to channel their profits through companies that existed mainly for tax arrangements from which they stood to benefit. In Apple’s case, last year the Irish government was ordered to retrieve €13 billion in back taxes by the EC (the European Union's antitrust and competition watchdog). The EC has now taken the Irish government to court for failing to recover the money from Apple, thereby firing a warning shot to other multinationals that they’re not going to let companies (however powerful) off the hook when it comes to taxes owed. The tax bill for Apple is equivalent to 5% of its cash reserve / one quarter's global profit, so could be enough to have an effect. In Amazon’s case, the EC ordered Luxembourg’s government to recover $250 million from Amazon because Amazon’s reduced tax bill was deemed to be ‘illegal state aid’. This amount equates to a little over the global profit for the last quarter, and is, therefore, a significant amount for Amazon. The EC has also moved to close more loopholes where VAT is concerned. These moves could create a proposed new, unified system of value-added tax (VAT) collection across the EU. This could stop companies from ‘jurisdiction shopping’ to pay the lowest rates, and it is estimated that it could help governments recover VAT of up to €150 billion a year (including €50 billion lost to fraud). With this scheme in place, governments in countries where purchases are made could receive revenue, and (cross border) businesses would know the right amount of tax to pay and collect, and could have their compliance costs reduces. The proposed VAT changes, however, are unlikely to be introduced until 2022. These moves and the very public announcement of them last week are clearly designed to send a message to all companies, online or offline, in whichever country their tax liability actually lays, they will be expected to pay their taxes in the EU for sales made in the EU from now on. The fact that the EC has challenged huge corporations and whole countries shows that it is serious. Hopefully, the proposed new VAT changes will be less complicated and costly for small businesses than the Commission's last attempt to simplify EU cross-border VAT collection with the mini one-stop shop" in 2014. It is possible to see why, for the benefit of their economies, countries like Ireland may have been reluctant to go after Apple for the money, but for many people, seeing big corporations (with big profits) being held to account like other businesses, the EC’s announcements and actions have a positive aspect to them. The Commission now has to make sure that the proposed changes help all online businesses not just multinationals like Apple and Amazon that can afford expert help with their tax advice. will allow users to see signs identifying UK landmarks in the area they’re looking at through their phone or tablet’s camera view. The new version of the OS Maps app uses ‘augmented reality’ which is the technology that can allow the real-world view to have other computer-generated or extracted real-world sensory input such as sound, video, graphics or GPS data superimposed on it. The augmented reality aspect is an update to the current app which uses GPS to show users exactly where they are, records their route, and offers them the option to choose a map type from standard overview map, 1: 50k (Landranger), 1: 25k (Explorer) or aerial imagery. Even though the new augmented reality app works on smart phones, it does not need a phone signal, and is, therefore, practical for use in remote places. If users do operate with a data connection, pressing on a label gives the users additional local area information with routes, places to stay and local images from GetOutside. The app is thought to be particularly useful and convenient because many people now use their smart-phones for navigation, and it is part of an app that operates on the user’s existing mobile device. The new app is able to operate in 200,000 locations throughout the UK. The kinds of geographical features that the app displays labels and useful text information about include hills and mountains, lakes, coastal features, woodland, and transport hubs. The app addresses the challenge posed by small phone screen sizes by showing what is on the horizon. Despite the convenience and practicality of the app, the Digital Product Manager at Ordnance Survey has been quick to point out that, for safety reasons, it is still recommended that people carry a paper map when outside (because they don’t rely on batteries). The app is free to subscribers of OS Maps (exclusively for Premium Users). For non-subscribers, it can be purchased from the OS online shop for £19.99 and then downloaded from Apple iTunes or Google Play. Augmented reality ideas such as this could provide all kinds of opportunities for businesses involved in tourism and tours e.g. cities, holiday / historic / tourist locations, travel and tour companies, galleries). Other opportunities could be in design e.g. allowing consumers to view how a retailer's virtual furniture looks in their room before they buy. Augmented reality could also provide business opportunities in education and teaching and anywhere that information about culture and the environment is needed in a fast, convenient and portable form (handheld AR equipment). There are also military applications for AR such as the Heads-Up Display (HUD) used by ground troops, and there are medical uses e.g. to practice surgery in a controlled environment. Businesses may also be able to use AR for advertising and promotional purposes e.g. apps designed to display information about (and offers relating to) restaurants, shops, and other businesses in the local area of a user. In short, we are still at the beginning of the AR revolution, and the technology offers businesses and other organisations opportunities that are limited only by the imagination. by subscription software firm Zuora has revealed that the average monthly spend by UK adults on subscription services of all kinds has tripled in the past year. A challenging global economy, fierce competition, disruption and changes across many industry sectors, the need to reduce costs and combat piracy (e.g. of software), and the effect of consumers getting used to using their mobile devices to sign up for what they want, when they want (and switch just as easily), plus a shift towards apps and the ease on online payment systems are some of the contributors to what has become a challenge to customer loyalty and retention. This has meant that businesses have been forced to move away from a product-centric mentality, and to try and create long-term brand affinity based around flexible subscription-based services. This, in turn, has meant that the ‘subscription economy’ has become a reality for many of us. Software - Software as a Service (SaaS) models are now commonplace (no more sending out CDs). Magazines, newspapers and journals - subscription-based services offer huge cost savings, convenience, and environmental benefits in this sector. Cars - car makers are now providing services where customers pay to use cars rather than buying them outright. Healthcare - medical and dental services. Online data storage services - e.g. Google Drive and Dropbox. Telecoms - for example, Norway’s state-owned operator Telenor offers a subscription-based service for businesses trying to use IoT access to technology. Airlines - Surf Air, for example, is offering a subscription-based service in Europe whereby, for a monthly charge (and an initial membership fee), customers can subscribe and receive unlimited flights. 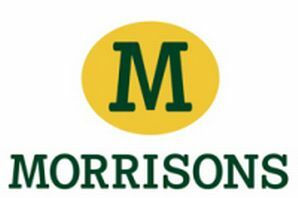 Grocery shopping services - now have nearly 2 million UK subscribers. In-car apps - now have 650,000 subscribers in the UK. Beauty and grooming - this includes subscriptions for men’s shaving service, Harry’s, which now has more than 1.3 million UK monthly subscribers. The report shows that a staggering 58 million UK shoppers now subscribe to services, and UK consumers now spend 12% of their monthly disposable income on subscription services. This means that the UK adult population is now spending an average £56 per month on subscription services. 35–54 year-olds are spending the most at £62 every month on their subscriptions, although spending has risen across all age groups and isn’t confined to just millennials. Consumers in the UK now have a clear preference for on-demand, personalised, and subscription-based access to services. 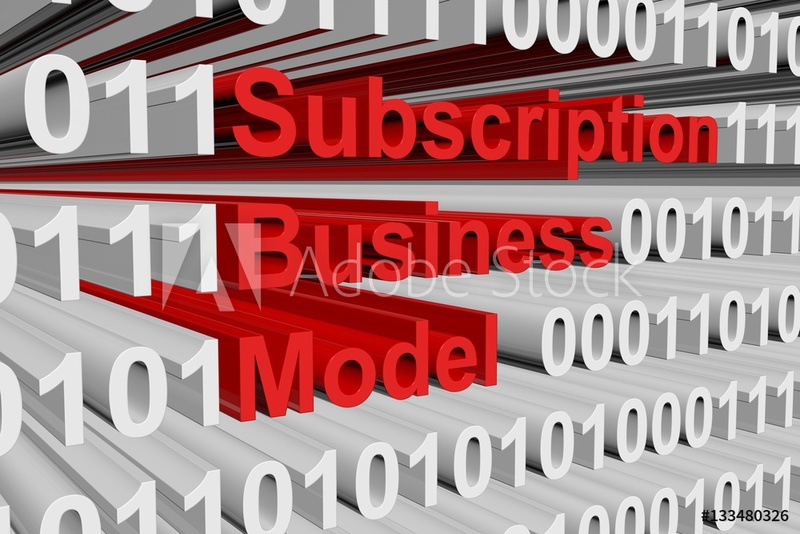 The subscription-business model has officially gone mainstream, and in order to compete effectively, retain as well as gain customers, and to protect customer and brand loyalty, businesses need to look seriously at how they can take advantage of this opportunity by shifting and transforming their business models so that they are in-line with the subscription economy that consumers are buying so heavily into. One other interesting finding in the report is that a quarter of the UK population predict that they will be subscribing to even more services over the next five years. This should flag-up the importance for UK businesses to look now at how they can best position themselves to get a piece of the subscription pie in what appears to be a trend that is set to continue. an e-currency, Sweden’s central bank looks likely to introduce the ‘e-krona’ as a government-guaranteed means of payment and a digital complement to cash. In November last year, Sweden’s central Riksbank, which had been the first to issue paper banknotes in the 1660s, reported a massive drop in the use of cash with the amount of notes and coins in circulation having fallen by 40% since 2009. This trend among the general population, coupled with the increasing digitisation of banking services, forced Riksbank to decide on exploring the real possibility of introducing the ekrona within two years. 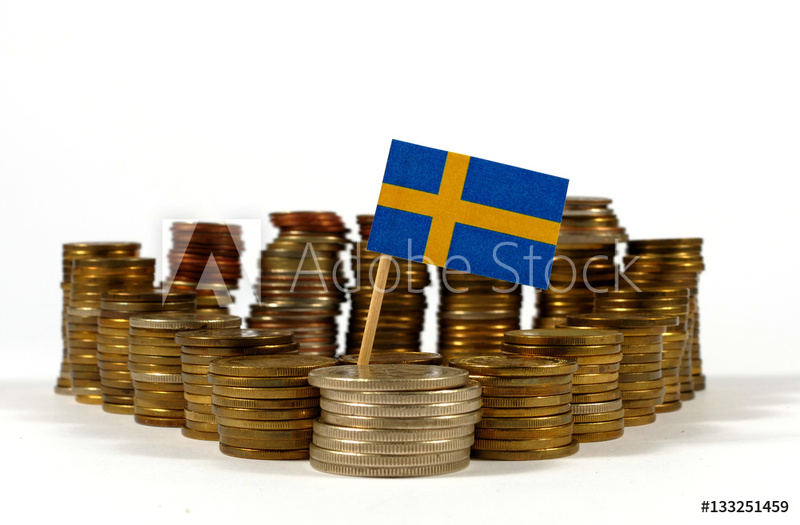 Sweden’s Riksbank, like other central banks, currently provides electronic money through accounts to banks and clearing organisations, but only provides central bank money to individuals in the form of notes and coins. The plan now, therefore, is to create a proposal for the digital currency, and then, in 2018, to explore more of the detail about any regulatory challenges, and about how an e-currency system for all could function in practice in the country. Among the many issues that the central bank and the government are considering in drawing up their proposals for the possible introduction of the digital currency, is the potential vulnerability of a cashless society in the case of a systemic failure, due to a digital payments market being in the hands of only a small number of commercial players, payment services and infrastructures (as is currently the case in Sweden). Other issues, such as how the ever-declining use of cash in Sweden will affect society (and certain groups within it), and the infrastructure, and what could happen when there is no central bank money in society, are all being considered. It is currently envisioned that the e-krona could be used for small payments between consumers and companies and could be made available via an account or through an app or card. The advantages of having the e-krona are cost savings, convenience, accessibility (24 hours a day, seven days a week), and the fact that it would be risk-free because it would still be linked directly to the central bank. Digital currencies are not new. The most well known digital crypto-currency ‘Bitcoin’ has seen a large rise in value in recent years, and despite having a ban placed on trading in the currency 2 weeks ago in the Chinese markets (as a way for the Chinese government to gain some control over it), has rallied round and recovered its initial 8% drop in value. Unlike the proposed e-krona, however, Bitcoin is not linked to any banks, and is generally used by companies, organisations, banks, and investors rather than by individuals (1 Bitcoin = £3238.86). For businesses, handling cash can be costly and time-consuming, and for consumers, the introduction of contactless payments (the closest thing we have to digital currency) has proved to be very convenient and easy to use. In July, for example, Browns of Brockley, an independent café in east-London become the UK's latest small business to go completely cashless, preferring instead to take just (mainly contactless) card payments. This move was actually inspired by the owner’s visit to Sweden, and his positive experiences in the near cashless society where he reported that he didn’t have to withdraw money once. Cash is also declining in use in the UK, and the prospect of digital currencies that could be used by all (not just large organisations or banks) could be a win-win situation for consumers and UK businesses, particularly small businesses. Digital currencies could be a way to help business to ultimately increase efficiency and boost profits. In the case of Bitcoin, for larger businesses and organisations (and investors) it offers the benefits of freedom from the constraints and controls of banks, speed, convenience and accessibility (borderless, day or night). This kind of currency and its underlying technology (Blockchain) look set to make its easier to do large-scale business in the not-too-distant future. in June, Google is now letting other comparison shopping services (rather than just its own Google Shopping) place ads at the top of its search results. Back in June, Google was deemed to have broken EU antitrust rules, and was handed the EC regulator’s largest fine to date for distorting the market by promoting its own shopping comparison service at the top of its own search engine results, and thereby demoting competitors’ shopping service adds. Google was given a 3 month deadline to put things right, or face paying 5% of its parent company Alphabet's average daily worldwide earnings, which could amount to an estimated $14m a day. Google must also submit a report on its compliance with the EC’s ruling every four months. Prior to the decision to fine Google, it was reported that the company disagreed with the EC’s findings, and had argued that Amazon and eBay exerted more influence over the public's spending habits. 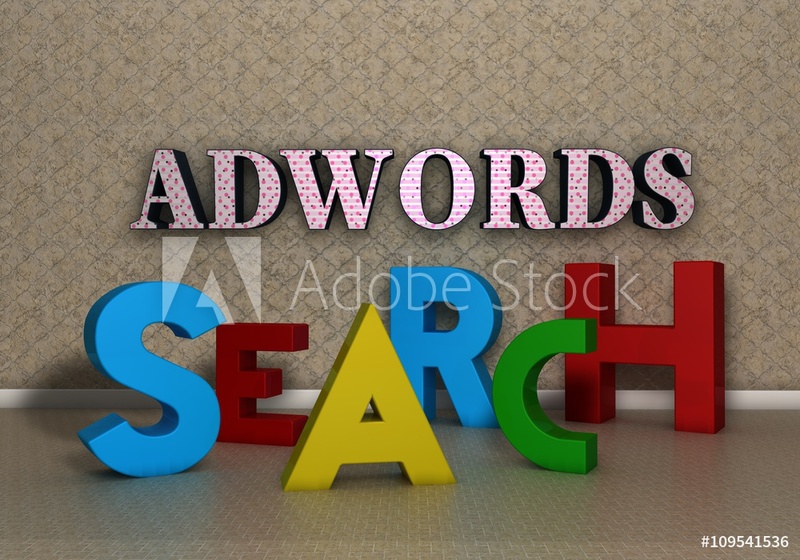 Comparison shopping services being given the same opportunity to show shopping ads from merchants on Google's Search results pages as are given to Google Shopping. Google Shopping operating as though it were a separate business in order to create greater equality in search engine results. The foot of adverts will now visibly identify the comparison shopping service via which the ad arrived, as well as the merchant concerned. 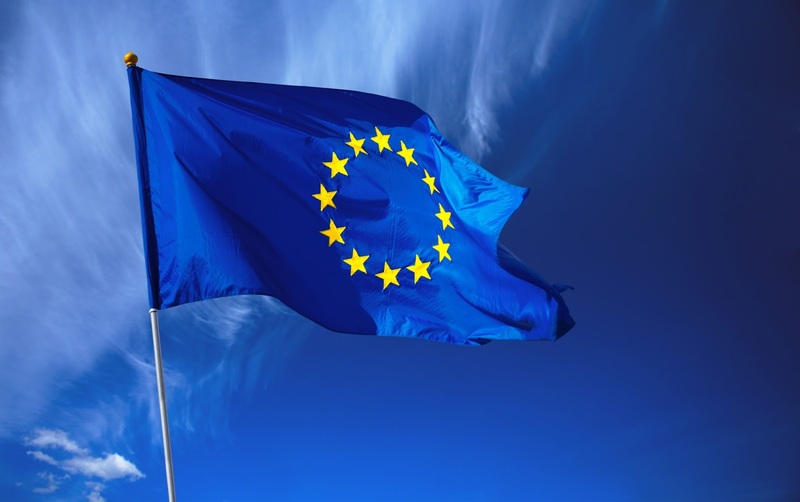 The changes will initially affect shopping ads in Austria, Belgium, the Czech Republic, Denmark, France, Germany, Italy, Ireland, Netherlands, Norway, Poland, Portugal, Spain, Sweden, Switzerland and the U.K. Critics of Google’s announcement that it has changed things to make it fairer for advertisers in response to the ruling have been quick to say that Google may, in fact, profit from the ruling by being able to charge comparison shopping sites for expensive ad slots when the sites used to appear for free in organic search results. Also, some commentators have suggested that Google could impose penalties on comparison shopping sites that got it into trouble with the Commission, and that Google should simply let its search engine crawl, index, and rank comparison shopping results in the same way that it does other web pages. Some see this whole situation as a political move at a time where there has been mounting anxiety in European capitals about the influence that the US giant companies known as ‘Gafa’ - Google, Apple, Facebook and Amazon - have on our lives. This has been amplified by the deterioration in European / US trade relations since the start of the Trump administration. It has to be said though that it is quite an unusual situation anyway whereby the company displaying the adverts to so many people around the world has a less than transparent system for doing so (using its own essentially secret algorithms). Simply because of the sheer volume of adverts that Google sells and displays, having to change the system even slightly in a relatively short time frame may have had a negative impact on Google’s profits. Some commentators have also pointed out, however, that the large fine that Google was given could actually have been twice as large. If the ad playing field actually does now become a more level one, this can only really be good news for smaller shopping sites, but, although it offers online businesses new opportunities, the change could also offer them new costs too. answering questions at a fringe meeting at the Conservative Party Conference, Home Secretary Amber Rudd is facing criticism from technical commentators about her apparent lack of understanding about the basics of encryption. During a recent fringe meeting, however, at the Conservative Party Conference, Home Secretary Rudd answered an audience question by saying that she didn’t need to understand how end-to-end encryption works to understand how it helps criminals, and suggested that legislators were "laughed at" for failing to understand the basics of the technology. She also suggested that she faced being patronised, and criticised by techies who don't like to help until "after an event has taken place”. Home Secretary Rudd has also been criticised for previously saying that she doesn't believe that "real people" actually care about end-to-end encryption, despite her highlighting it as an important issue, and for mixing up ‘hashtag’ with ‘hashing’ in an interview on the Andrew Marr show. from the European Commission (EC), to take measures to rid their platforms of hate speech and terrorist materials, or face the threat of legislation. According to the EC, despite a recent increase in the amount of terrorist propaganda, xenophobic and racist speech online, technology and social media companies have not been acting quickly or proactively enough to detect it, remove it, or to stop it from appearing on their platforms. Back in May this year, the EC agreed a code of conduct with Facebook, Twitter, YouTube and Microsoft that included a series of commitments to combat the spread of illegal hate speech online in Europe. The code was aimed at guiding the activities of the signatory companies as well as sharing best practices with other internet companies, platforms and social media operators. As part of the code, tech / social media companies agreed to train staff to remove illegal hate-speech material within 24 hours of being alerted to it. It appears, however, that many European governments feel that more needs to be done, more quickly, and that tougher standards, backed by legislative measures may prove to be a more effective motivator for tech companies. The EC has, therefore, decided to introduce guidelines and standards for technology companies, backed by the threat of legislation, to ensure that faster and more effective action is taken to stop unwanted material being shared online. The standards include investing in automatic detection technologies, and developing automated tools that can prevent the re-posting of content that has already been removed. 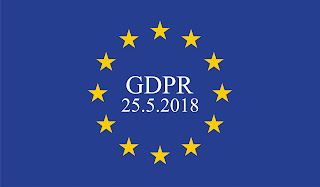 Also included in the standards will be the need for tech companies to set up dedicated points of contact that will allow the authorities to flag up offending content, and the introduction of (as yet not specified) fixed deadlines for tech companies to remove content that could cause serious harm e.g. incitement to terrorist acts. The standards also call for tech companies to publish transparency reports that will show the number and nature of notices they have received about illegal content. This latest pressure from the EC follows calls from UK Prime Minister Theresa May who said in a speech to the United nations last month that technology companies must go "further and faster" in removing extremist content, and that tech / social media companies should be aiming to remove hate / terror content from their platforms within a 2 hour-or-less timeframe. Recent research by the Georgia Institute of Technology using the Reddit platform showed that banning hate groups from a social media platform causes them not only to abandon that platform (rather than just going elsewhere within it), but also to reduce the levels of hate speech in any group members who stay. The business world works best when customers, investors and other stakeholders have confidence in companies, brands, products and services. Those businesses that supply platforms for, or enable the sharing / distribution free speech of any kind e.g. social media and web companies, have a common (and commercial) duty to provide a safe online environment for their users e.g. by removing hate speech promptly, and by making their part of the online environment particularly safe for children, young people, and the vulnerable. Surprisingly, given the level of technological expertise and investment in large social media platforms e.g. Facebook and Twitter, they have always struggled to moderate their platforms effectively. Many commentators recognise the importance of free speech, and acknowledge that social media companies need to strike a balance which enables them to remove unwanted content, but not be seen to censor and curb free speech (characteristics of authority and governments), and thereby damage the value of their brands. It is sadly the case that, in the business world, it often takes the threat of legislation to force businesses to act effectively on standards and guidelines, so this move by the EC may help speed things along. Anything that contributes to a safer online environment can only really benefit businesses as well as society. Businesses and organisations of all kinds can also help the common purpose of minimising online hate crime through education of their staff / pupils / customers / users / stakeholders about their own policies for the treatment of those discovered to be using hate speech e.g. at work (online). We, as individual members society, can all play our part in making the online environment safe for all by challenging reporting hate speech where we find it, and, although the stance of open rights / free speech organisations such as the ORG is important, so is ensuring that the Internet is a safe place for all.